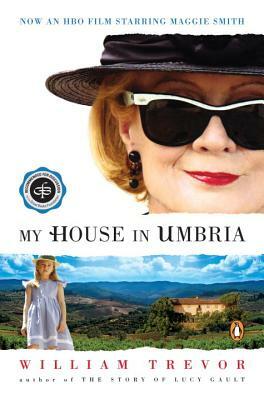 Mrs. Emily Delahunty-a mysterious and not entirely trustworthy former madam-quietly runs a pensione in the Italian countryside and writes romance novels while she muses on her checkered past. Then one day her world is changed forever as the train she is riding in is blown up by terrorists. Taken to a local hospital to recuperate, she befriends the other survivors-an elderly English general, an American child, and a German boy-and takes them all to convalesce at her villa, with unforeseen results. William Trevor was born in Mitchelstown, County Cork, and spent his childhood in provincial Ireland. He studied at Trinity College, Dublin. He is the author of twenty-nine books, including Felicia’s Journey, which won the Whitbread Book of the Year Award and was made into a motion picture, and The Story of Lucy Gault, which was shortlisted for both the Man Booker Prize and the Whitbread Fiction Prize. In 1996 he was the recipient of the Lannan Award for Fiction. In 2001, he won the Irish Times Literature Prize for fiction. Two of his books were chosen by The New York Times as best books of the year, and his short stories appeared regularly in The New Yorker. In 1997, he was named Honorary Commander of the British Empire.